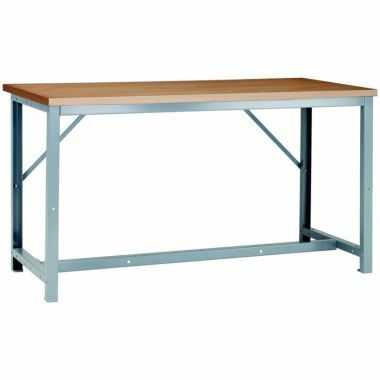 Our range of premier workbenches offer a range of flat pack workbenches with a range of different options, enabling you to configure the bench to meet your needs. 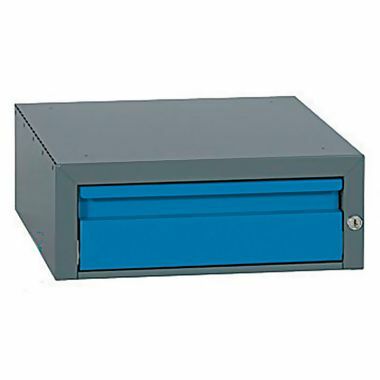 These robust benches are suited to medium to heavy duty industrial applications with a weight capacity of 450kg. Ordering is simple, pick the size of bench, select a work to an then add any accessories to create the bench you need. 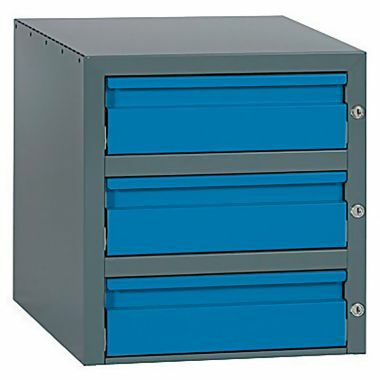 If you are looker for something a bit more tougher then our heavy duty workbenches maybe an option. 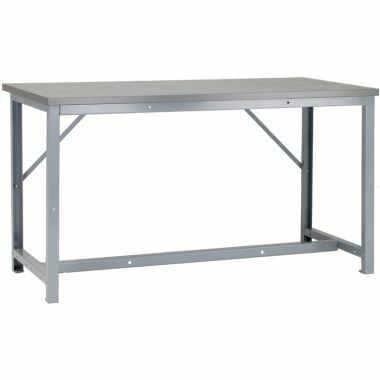 Why buy a Premier Workbench? 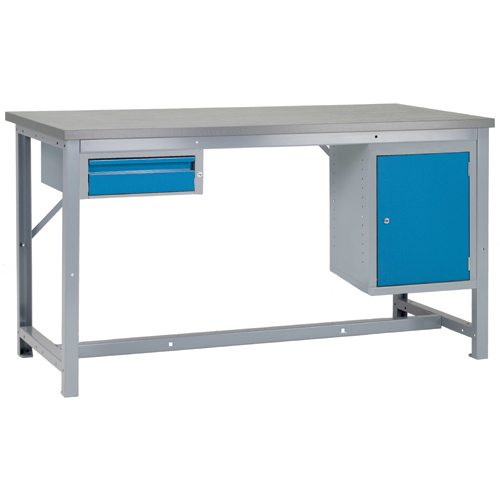 Our Premier workbenches have are a high quality workbench, manufactured in the UK boasting a fantastic build quality. We can supply these benches with a choice of wood, lino or veneer work tops. 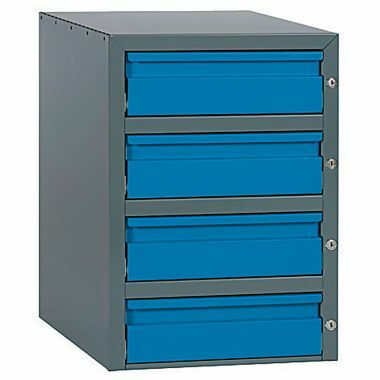 With a wide range of add-ons and accessories, Premier work benches can be supplied to suit you exact specification. 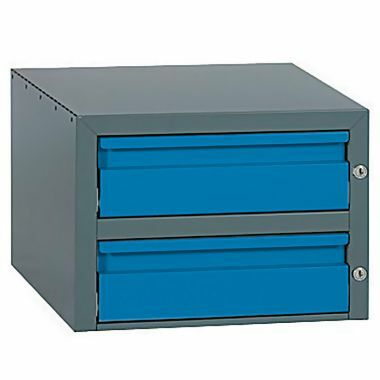 Premier workbenches are supplied in flat pack form for easy self-assembly. 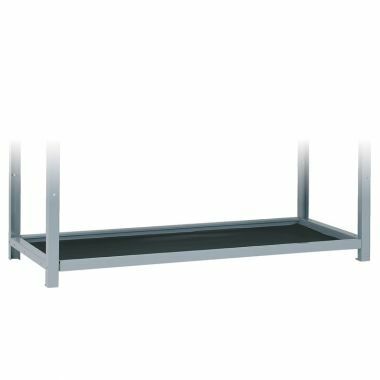 The entire Premier workbench frames, cabinets and drawer back are supplied in epoxy polyester powder coating in grey. We offer a choice of worktops, enabling you to select the best material for your application and environment, combined with a wide range of high quality accessories and the correct operator chair, you will be able to configure the ideal bench for your requirements.